About the site - Salut! Salut! is written by Colin Randall, staff correspondent for The Daily Telegraph, Oct 1977 - Sept 2006. He worked as a reporter based in South West England/South Wales, London and finally Paris. 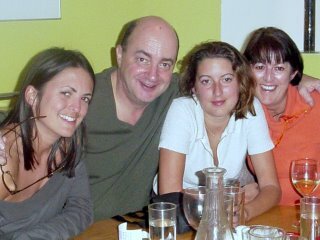 Married to Joëlle; two daughters, Christelle ("who has a more glamorous job in media than her dad" to quote a friend) and Nathalie ("who plays football better than him" to quote same friend).